“…a milestone in the American Theatre.”— Ebony. 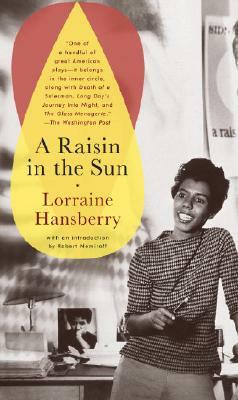 A Raisin in the Sun, written by the then twenty-nine-year-old Hansberry, was the "movin' on up" morality play of the 1960s. Martin had mesmerized millions, and integration was seen as the stairway to heaven. Raisin had something for everyone, and for this reason it was the recipient of the prestigious New York Drama Critics Circle Award. The place: a tenement flat in Southside, Chicago. The time: post'World War II. Lena Younger, the strong-willed matriarch, is the glue that holds together the Younger family. Walter Lee is her married, thirty-something son who, along with his wife and sister, lives in his mother's apartment. He is short on meeting responsibilities but long on dreams. Beneatha (that's right, Beneatha) is Waiter's sister'an upwardly mobile college student who plans to attend medical school. Mama Lena is due a check from her late husband's insurance, and Waiter Lee is ready to invest it in a liquor store. The money represents his opportunity to assert his manhood. It will bring the jump start he needs to set his life right. Beneatha tells him that it's "mama's money to do with as she pleases," and that she doesn't really expect any for her schooling. However, Mama wants to use her new money for a new beginning'in a new house, in a new neighborhood (white). Walter cries, and Mama relents. She refrains from paying cash for the house and places a deposit instead, giving Waiter the difference to share equally between his investment and Beneatha's college fund. Walter squanders the entire amount. Meanwhile, Mama receives a call from the neighborhood "welcome committee" hoping to dissuade the family from moving in. This groundbreaking play starred Sidney Poitier, Claudia McNeill, Ruby Dee and Diana Sands in the Broadway production which opened in 1959. Set on Chicago’s South Side, the plot revolves around the divergent dreams and conflicts within three generations of the Younger family: son Walter Lee, his wife Ruth, his sister Beneatha, his son Travis and matriarch Lena, called Mama. When her deceased husband’s insurance money comes through, Mama dreams of moving to a new home and a better neighborhood in Chicago. Walter Lee, a chauffeur, has other plans, however: buying a liquor store and being his own man. Beneatha dreams of medical school. Tell us what do you think about A Raisin in the Sun.